Skin bacteria, Coloured scanning electron micrograph (SEM). Squamous skin cells covered in staphylococcus bacteria, one of roughly a thousand bacteria species present on human skin. One of the biggest challenges in treating staphylococcal infections is that many strains of the bacteria have developed resistance against a number of different antibiotics. 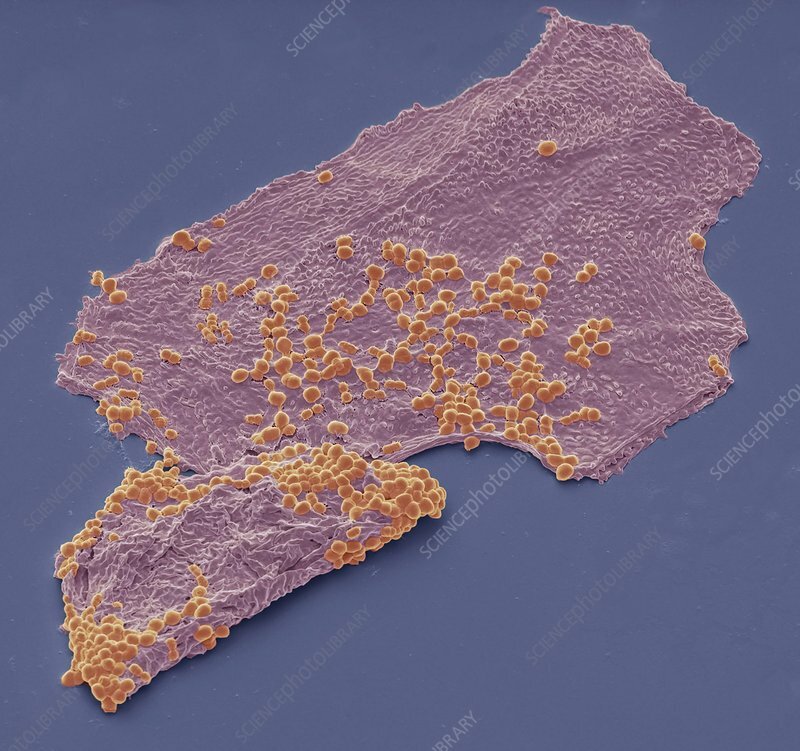 Methicillin-resistant Staphylococcus aureus (MRSA) is a strain of the bacterium resistant to an old antibiotic called methicillin, which is no longer used, and flucloxacillin, an antibiotic commonly used for skin infection. Infections caused by MRSA can be severe and may need treatment by an injectable antibiotic. Magnification: x 1500 when printed at 10 centimetres across.